DO YOU NEED LAWN MOWING IN DANDENONG SOUTH ? A C M Acreage & Commercial Maintenance are a professional Lawn Mowing and Garden Maintenance company operating in Dandenong South and surrounding suburbs. 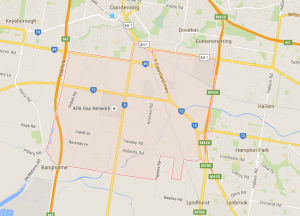 Dandenong South has a number of industrial area, large factories and warehouses are common. The upkeep on the outside areas of the buildings cannot be overlooked. If lawns are kept�untidy not only does it look unsightly it can pose risks such as; attracting vermin and snakes, pose fire hazards, damage building facades, bring council fines and in the end cost a lot more to fix than regular maintenance. AC Maintenance provides a premium lawn mowing and garden maintenance service in Dandenong South. We bring over 50 years of experience and are qualified horticulturists. If chemical spray is needed we are Chemcert accredited. Landscaping is sometimes overlooked in factory areas, but it is key to the ongoing upkeep. We can easily landscape to keep ongoing garden maintenance costs low. The property does not need to be new, AC Maintenance is very experienced in managing overlooked gardens and lawns. Weed control of pest plants is very common in Dandenong South, the Greater Dandenong Council states the Victorian government spends over 900 million each year on the problem. Pest plants can quickly overtake garden areas that sit around large buildings. We can quickly identify the pest plants and undertake the correct method for removal. Lawn mowing your Dandenong South property on a regular basis will help with not only the aesthetics of your property it will keep the general garden pests such as weeds and vermin at bay. 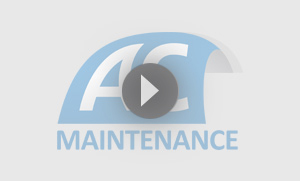 AC Maintenance will ensure no corners are cut and get it right the first time. Make your Dandenong South factory or other business stand out from the crowd with a clean look.